 Bold spaces designed with luxury and comfort in mind are the foundation for what makes Hanover Cambridge Park the standard for North Cambridge and Greater Boston apartment living. Browse through images showcasing our take on modern, urban living. We know you'll find what you're looking for. Hanover is committed to providing luxury apartment amenities that push the boundaries and question the norms. We're a short walk from the MBTA Alewife Red Line Station and a short trip from Porter Square and Fresh Pond. Contact our dedicated leasing office staff today to schedule your tour!